For 2013, CMS issued a relatively large number of new and revised individual and group PQRS measures. Some of these changes help to expand/improve the reporting options for LTC physicians and allied professionals. This chart shows which of the 203 individual measures and 21 measure groups apply to common LTC CPT codes. For 2013, there is a small participation incentive — 0.5% — for successful reporting. To be successful, the individual provider or group has to report on three or more individual measures or on a single measures group. There arecomplex rules for meeting these criteria. This AMA table explains the options by group size. 2013 is the start year for non-participation penalties. Providers who do not meet the minimum threshold for reporting (at least one individual measure for 50% of eligible patients or one measures group) will receive a 1.5% penalty reduction in their 2015 Medicare payment rates. Your performance scores also are slated to be posted on Medicare’s Physician Compare website, so it is a good strategy to select measures that you can report successfully. Depending on your group’s size (number of providers), this performance score will begin adjusting your payments under the Value-Based Purchasing (VBP) program. Large groups (more than 100 providers) will have an additional 1% payment penalty under VBP for non-participation in 2013 that takes effect in 2015. The balance of providers will experience this added non-participation penalty in 2016 and 2017 based on group size. 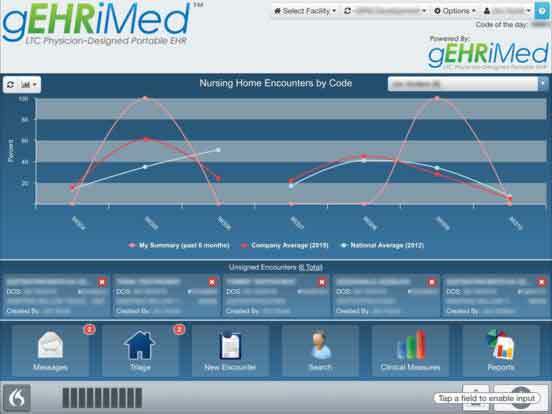 If you are using an EHR at the beginning of the year, it is simplest and cheapest to report on individual measures. Our providers use advanced directives and influenza immunization for all patients since every SNF/NF is required to perform these activities as part of conditions of participation. A third measure is selected based on type of provider. For PCPs, we use anticoagulation therapy for atrial fib/flutter because it is our practice standard and can be reported satisfactorily on the first encounter (no lab work or consults needed). Remember that reporting is based on the individual provider, so two or more providers can report on the same patient. If you use an EHR, answers from the first provider can be reviewed readily, affirmed and reported by the second provider visiting that patient. Using a measures group (e.g. CAD) is faster because reporting on only 20 patients is required to earn the incentive. The complication is that only three of the measure groups available for use in LTPAC are reportable via claims (free). Those three groups (DM, CKD, dementia) require multiple steps and often two visits to complete. The easier groups (CAD and HTN) can only be reported via registry (an added fee). Each provider group should assess their 2013 PQRS reporting strategy as soon as possible to avoid the 1.5% penalty for failure to satisfy the minimal reporting threshold. CMS is relying increasingly on the STICK strategy to encourage provider compliance with its concept of quality healthcare. We are depending increasingly on the EHR as our primary tool to avoid these cutbacks while not destroying provider productivity.